497,950 km, which is the distance of circling the earth for around twelve and a half times, is the total distance that the Intl. WeLoveU Foundation has walked so far through the New Life Family Walkathon from its 1st event to its 18th event. On a spring day when new lives started to sprout, the WeLoveU once again took on steps of love and share for the 7 billion global families. On April 15, 2018, the “19th New Life Family Walkathon,” which is hosted by the Intl. 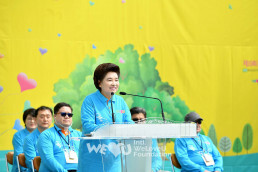 WeLoveU Foundation and sponsored by the Ministry of Health & Welfare, Sejong Hospital, and Korea Association for Prevention of Child Abuse and Neglect, was held at the Peace Square of Seoul World Cup Park. This walkathon was designed to help the neighbors in need and to root for the future of children and youths in over 20 countries overseas. Chairwoman Zahng Gil-jah of the WeLoveU Foundation, Executive Director Lee Gang-min of the WeLoveU, other executives, Lee Bae-keun the President of the Korea Association for Prevention of Child Abuse and Neglect, and people from all walks of life came and participated in the event. Also, the ambassadors of Jordan and Spain, an acting ambassador of Bolivia, embassy officials from 18 countries and their family members participated in the sharing of love, regardless of their national boundaries. On the day of the walkathon, the Peace Square was crowded with members and citizens participating in the event from the early morning. Around 13,000 participants with blue T-shirts filled the square with blue waves. At around 10 a.m., the walkathon started with a powerful performance by the marching band. After the rhythmical and powerful performance of the marching band, the cheerful dance routine of the New Life Children’s Choir made the members’ eyes and ears pleased. 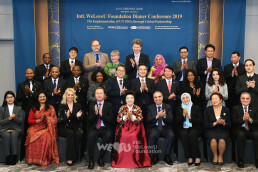 Adel Mohammad Adaileh, Jordanian Ambassador to Korea delivered a congratulatory address lastly; “Ending poverty in all forms, and ensuring inclusive and equitable quality of education are the two main goals of the United Nations Sustainable Development Goals. Through our participation in this walkathon, we are all working together, hand-in-hand, toward a sustainable development in the world, where no child will be left behind, uneducated, and in despair.” And he expressed gratitude to the WeLoveU for helping global villagers through worldwide activities, saying, “I believe each and every step we take through the walkathon will create a better world and hand it to the next generation.” At the conclusion of the address, the Ambassador shouted “We love you” with a big gesture, and the members responded with enthusiastic applause and cheering. After the congratulatory speech, donation plates were posted on the stage. 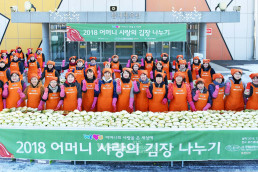 Through this walkathon, the WeLoveU will provide medical and living expenses to domestic 115 households and multicultural families in Korea, and donate a total of 215 million won (approx. 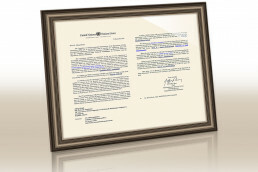 193,600 USD) for educational facilities, goods and activities in 20 countries including Honduras, India, Pakistan, Laos, Mongolia and Nepal. While taking a commemorative photograph, all the participants including the VIPs shouted out “We love you” together, conveying the message of love and hope toward their neighbors. 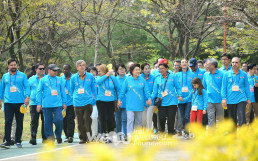 After the ribbon cutting and the announcement, “start,” by Chairwoman Zahng Gil-jah, the walkathon began in earnest as a second part of the event. The walking course was 1.68 km in total, which starts from the Peace Square and comes back to the starting point through the Nanji Pond and the Peace Park walkway. The members began to take a light step, listening to the lively performances of the marching band and walked the way full of spring flowers such as cherry blossoms, azaleas, and lilacs with their family. The members’ laughter was in full bloom throughout the park. 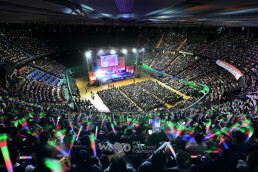 The members who finally returned to the starting point took celebratory photos with colorful balloons in their hands. 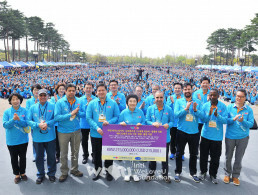 The members shouted the slogan in unison, “Let’s deliver love to seven billion people with a smile and a loving heart and the walkathon finished with great success. Afterwards, the members moved to face painting booths and family photo zone, making their precious memories. They also heard explanations from college student volunteers at the panel exhibition on the WeLoveU activities and the United Nations’ Sustainable Development Goals [SDGs]. The guests and participants expressed their support by signing on the proposal or attaching stickers on the world map which symbolizes UN’s SDGs. It is expected that the WeLoveU’s various activities for seven billion people will bring great synergistic effects, meeting the global efforts. The members gathered here and there around the park and spent happy time with their family. On a spring sunny day, they all had a meaningful time to confirm that a small devotion to bring hope to seven billion people will bring about a big change in the global village.